In a new building in Busto Garolfo just a few steps from the centre, for sale apartment of three rooms on the second floor mq 87,90, composed of entrance, living room, kitchen, two bath and a balcony. Built in 2014, within in a block of lombard, only two floors with lift, the apartment is ready for delivery, and with the possibility of choice of finishes, are provided for floors and coverings in porcelain or laminate of various colours to choose from. The heating system is underfloor central to self-management with calorie counter, with arrangement for air cooling system. Also are installed: setting up a tv satellite, video intercom and cost allocators for the consumption of cold water. The frames were made of lacquered wood with shutters for doors machined with fins, the inner doors in the n-type wood walnut Tanganyika. Inside of the building were created parking places which are marked by the trellis structure opened, executed in iron or wood. Possibility to buy a parking place the individual inside of the building at a price of € 7.000.00 or you can purchase a single box at a price of € 13.000,00. The apartment is in the class C 75,29. The request is euro 119.000,00. In addition to the apartment described above you can choose within the complex, other solutions of various types and sizes in class B or C on various floors. In a new building in Busto Garolfo just a few steps from the center, for sale two-room apartment mq 67,20 composed of entrance, living room with kitchenette, bedroom, bathroom and balcony. Built in 2014, within in a block of lombard, only two floors with lift, the apartment is ready for delivery, and with the possibility of choice of finishes, are provided for floors and coverings in porcelain or laminate of various colours to choose from. The heating system is underfloor central to self-management with calorie counter, with arrangement for air cooling system. Also are installed: setting up a tv satellite, video intercom and cost allocators for the consumption of cold water. The frames were made of lacquered wood with shutters for doors machined with fins, the inner doors in the n-type wood walnut Tanganyika. Inside of the building were created parking places which are marked by the trellis structure opened, executed in iron or wood. Possibility to buy a parking place the individual inside of the building at a price of € 7.000.00 or you can purchase a single box at a price of € 13.000,00. The apartment is in the class C 75,29. The request is euro 92.000,00 In addition to the apartment described above you can choose within the complex, other solutions of various types and sizes in class B or C on various floors. 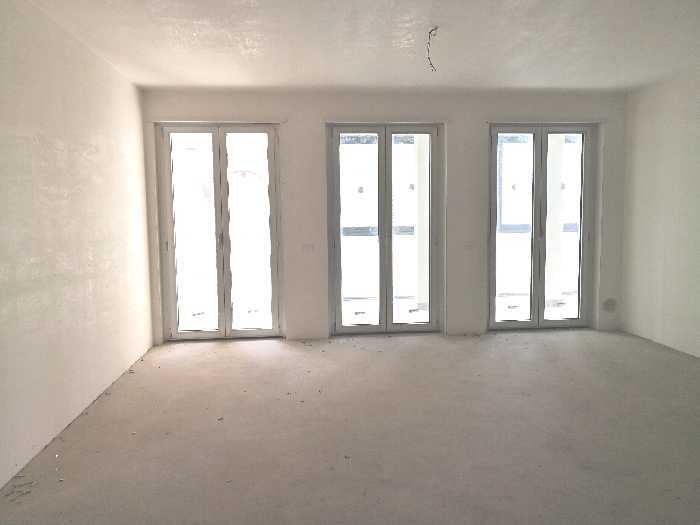 In a new building in Busto Garolfo just a few steps from the centre, for sale apartment of three rooms on the first floor Sqm 86,30, composed of entrance, living room, kitchen, bathroom and two bedrooms, as well as mq 11 of the balcony. Built in 2014, within in a block of lombard, only two floors with lift, the apartment is ready for delivery, and with the possibility of choice of finishes, are provided for floors and coverings in porcelain or laminate of various colours to choose from. The heating system is underfloor central to self-management with calorie counter, with arrangement for air cooling system. Also are installed: setting up a tv satellite, video intercom and cost allocators for the consumption of cold water. The frames were made of lacquered wood with shutters for doors machined with fins, the inner doors in the n-type wood walnut Tanganyika. Inside of the building were created parking places which are marked by the trellis structure opened, executed in iron or wood. Possibility to buy a parking place the individual inside of the building at a price of € 7.000.00 or you can purchase a single box at a price of € 13.000,00. The apartment is in the class C 75,29. The request is € 116.000,00. In addition to the apartment described above you can choose within the complex, other solutions of various types and sizes in class B or C on various floors. In a new building in Busto Garolfo just a few steps from the centre, for sale apartment of three rooms on two levels: the first floor mq 43,20 is composed of living room with kitchen and a bathroom; the attic floor sqm 45,10 composed of bedroom, study and bathroom, the balconies total sqm 88,30. Built in 2014, within in a block of lombard, only two floors with lift, the apartment is ready for delivery, and with the possibility of choice of finishes, are provided for floors and coverings in porcelain or laminate of various colours to choose from. The heating system is underfloor central to self-management with calorie counter, with arrangement for air cooling system. Also are installed: setting up a tv satellite, video intercom and cost allocators for the consumption of cold water. The frames were made of lacquered wood with shutters for doors machined with fins, the inner doors in the n-type wood walnut Tanganyika. Inside of the building were created parking places which are marked by the trellis structure opened, executed in iron or wood. Possibility to buy a parking place the individual inside of the building at a price of € 7.000.00 or you can purchase a single box at a price of € 13.000,00. The apartment is in the class C 75,29. The request is euro 119.000,00. In addition to the apartment described above you can choose within the complex, other solutions of various types and sizes in class B or C on various floors. 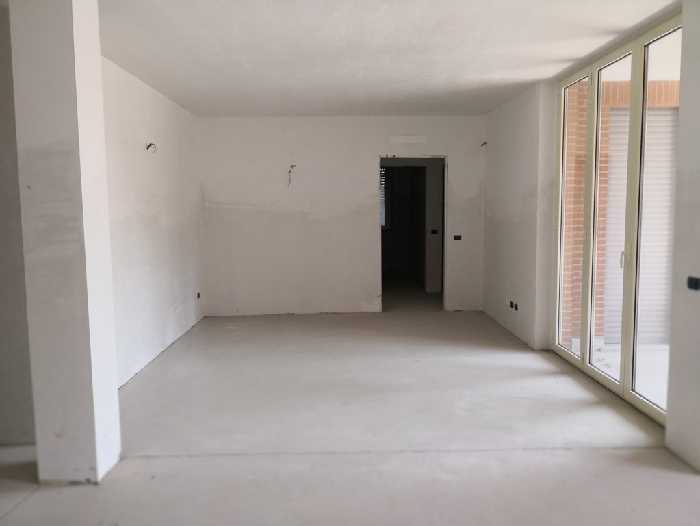 In a new building in Busto Garolfo just a few steps from the centre, for sale apartment of three rooms on two levels: the ground floor square meters 58,90 composed of Entrance, living room, kitchen, bathroom and study over garden square 57,50. To the first floor, sqm 26.70 consisting of a bedroom and a bathroom. Built in 2014, within in a block of lombard, only two floors with lift, the apartment is ready for delivery, and with the possibility of choice of finishes, are provided for floors and coverings in porcelain or laminate of various colours to choose from. The heating system is underfloor central to self-management with calorie counter, with arrangement for air cooling system. Also are installed: setting up a tv satellite, video intercom and cost allocators for the consumption of cold water. The frames were made of lacquered wood with shutters for doors machined with fins, the inner doors in the n-type wood walnut Tanganyika. Inside of the building were created parking places which are marked by the trellis structure opened, executed in iron or wood. Possibility to buy a parking place the individual inside of the building at a price of € 7.000.00 or you can purchase a single box at a price of € 13.000,00. The apartment is in the class C 75,29. The request is euro 119.000,00 In addition to the apartment described above you can choose within the complex, other solutions of various types and sizes in class B or C on various floors. POSSIBILITY' RENT TO OWN NEW CONSTRUCTION LEGNANO In the proximity of the new hospital in the elegant new building we have four rooms ON TWO LEVELS WITH a ROOFTOP GARDEN, so divided: Fourth floor, about 73 sqm composed of entrance, living room with kitchen, hallway, bedroom, bathroom, Attic floor of about 81 sqm, consisting of two rooms and a second bathroom.In addition to the roof with a garden of about 81 square meters connected with internal staircase. The 5-storey building and completed and the apartment is ready for delivery, with the possibility still of choice with regards to the interior trim. The contract provides for ceramic in the living area and parquet in the sleeping area, wood interior doors. The finishing of both interiors and common areas is of a high level, some of the details of the façade have been made of corten steel and make the building special and unique. The building is placed in class B to ensure greater energy savings, the heating is in-floor with condensing boiler, aluminum frames with thermal cutting with double-glazed to 22mm. The accommodations are equipped with roller shutters motorized. It has already been prepared for the installation of air-conditioning and alarm. The request is € 254.000,00 Energy class B ipe 35.11, its kWh/sqm per year. Are available for wineries of various sizes and a double garage of euro 15.000,00. We have other types always ready for delivery of various sizes and with different cuts on all floors with gardens or balconies/terraces on the upper floors. Typical of this construction are the verandas made of some apartments even on the upper floors that allow you to take advantage of the terraces during the whole year. With regard to the apartment located on the fifth and last floor there is the possibility of unificarlo with the apartment on the attic floor, which benefits from a garden on the roof of the building. LEGNANO, in the vicinity of the new hospital in the elegant new building, we have apartment of mq 68,28 on the third floor, with the greenhouse of sqm 11,78 composed of entrance, living room with kitchen, hallway, bedroom, bathroom, and greenhouse. The 5-storey building and completed and the apartment is ready for delivery, with the possibility still of choice with regards to the interior trim. The contract provides for ceramic in the living area and parquet in the sleeping area, wood interior doors. The finishing of both interiors and common areas is of a high level, some of the details of the façade have been made of corten steel and make the building special and unique. The building is placed in class B to ensure greater energy savings, the heating is in-floor with condensing boiler, aluminum frames with thermal cutting with double-glazed to 22mm. The accommodations are equipped with roller shutters motorized. It has already been prepared for the installation of air-conditioning. The request is euro 1115.720. Energy class B ipe 35.11, its kWh/sqm per year. Are available for wineries of various sizes and double box € 15.000,00. We have other types always ready for delivery of various sizes and with different cuts on all floors with gardens or balconies/terraces on the upper floors. Typical of this construction are the verandas made of some apartments even on the upper floors that allow you to take advantage of the terraces during the whole year. With regard to the apartment located on the fifth and last floor there is the possibility of unificarlo with the apartment on the attic floor, which benefits from a garden on the roof of the building. POSSIBILITY' FOR RENT IN REDEMPTION LEGNANO GROUND FLOOR OF 56 SQM PLUS PORCH AND APPROXIMATELY 136 SQUARE GARDEN NEW BUILDING REF. In the proximity of the new hospital in an elegant building of new construction, we offer two-roomed apartment of 56 sqm composed of entrance, living room with kitchen, hallway, bedroom, bathroom, and garden of mq 136,00 porch addition of sqm 52,20 next to the apartment. The 5-storey building and completed and the apartment is ready for delivery, with the possibility still of choice with regards to the interior trim. The contract provides for ceramic in the living area and parquet in the sleeping area, wood interior doors. The finishing of both interiors and common areas is of a high level, some of the details of the façade have been made of corten steel and make the building special and unique. The building is placed in class B to ensure greater energy savings, the heating is in-floor with condensing boiler, aluminum frames with thermal cutting with double-glazed to 22mm. The accommodations are equipped with roller shutters motorized. It has already been prepared for the installation of air-conditioning and alarm. The request is euro 107.611,50. Energy class B ipe 35.11, its kWh/sqm per year. Are available for wineries of various sizes and single boxes and double starting from euro 15.000,00. We have other types always ready for delivery of various sizes and with different cuts on all floors with gardens or balconies/terraces on the upper floors. Typical of this construction are the verandas made of some apartments even on the upper floors that allow you to take advantage of the terraces during the whole year. With regard to the apartment located on the fifth and last floor there is the possibility of unificarlo with the apartment on the attic floor, which benefits from a garden on the roof of the building. BUSTO ARSIZIO LARGE two bedroom APARTMENT IN RECENT BUILDING, for Sale apartment of about 90 sq mt composed of entrance into the living room and kitchen that give access to the same terrace; the night area consists of a large hallway, two bedrooms, two bathrooms and a second terrace in the master bedroom. The building, built in 2001 is in excellent condition and it is a small building of only two floors inhabited in the sun from five families. The pavement is quartzite, except in the bathrooms and in the master bedroom where there is a parquet floor; all the doors are sliding or book in the oak while the external doors are in wood with double glass and opening windows; the heating is autonomous. The property includes a single box and the car ownership. The request is euro 179.000. Energy class D ipe 124,01 kWh/sqm per year. Lozza via Mazzini, 30, In the centre of the country, in the context of the court, and a portion independently on two levels with porch and common yard. The property consists of entrance in living room, kitchen and toilet on the ground floor; two bedrooms and hallway at the first floor. Possibility to leave a car in the courtyard. It is a solution with no condo fees, available immediately, at a price auction. Ceramic tiled floors; aluminium window frames with single glass; plants not up to standard; there is the hallway in the bathroom Request: 45.000. Energy class F 291,98. CASTELLANZA for sale two-room apartment with a bedroom about 65 sqm, completely renovated in 2009 comprises: entrance into a spacious hallway, large living room, kitchen semi-diner, a bedroom, a bathroom and a balcony. With a little work this apartment can become a three-room apartment since the kitchen can become a second bedroom and the living room can easily accommodate a large kitchen area, having already the predisposition. In the process of restructuring has been replaced the boiler for DHW and installed double-glazing things that have contributed to a better energy efficiency; always in the restructuring has been laid bisazza mosaic in the lining of the bathroom, venetian stucco as finishing in the bed room and flooring in porcelain tiles laid diagonally. The property is located on the second floor of a building of the years '60. The apartment is bright as it enjoys a double exposure, the condo fees are approximately 1.200,00 euros per year. The apartment is equipped with cellar. The request is 48.000,00 Energy class G ipe 233,11 kw/sqm per year. Buto Arsizio, for sale saint Edward in the building, 70 three-room apartment of large size, about 135 square meters on the 3rd floor In viale Pirandello Completely renovated apartment composed by entrance, double living room, kitchen, hallway night, two bedrooms both of generous size, two bathrooms (one with corner jacuzzi bath and a second bathroom with shower. Also utility room. The apartment is equipped with air conditioning, the window frames are pvc with double glazing, mosquito nets, awnings on all balconies. The common parts are in perfect condition there is central heating in the floors and the boiler has been replaced recently, The floors are in porcelain stoneware The apartment has balconies in every room. Complete the property a large wine cellar. Possibility to rent or buy the box. The request is € 165.000,00 Waiting for energy certification. 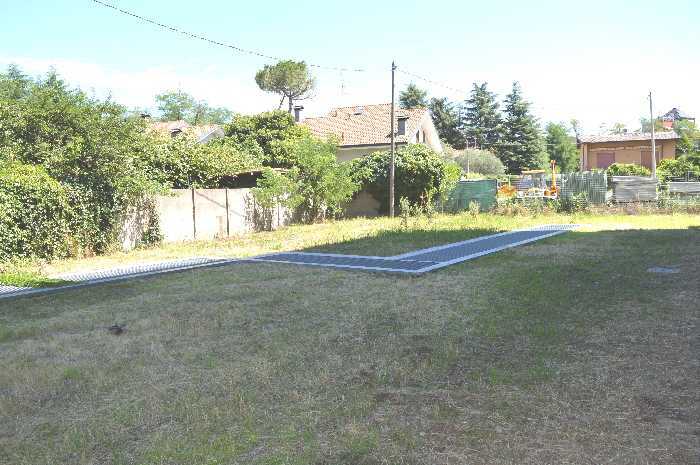 BUSTO ARSIZIO IS IN A RESIDENTIAL AREA, A FEW STEPS FROM THE ENTRANCES OF THE MOTORWAY FROM MALPENSA APARTMENT OF ABOUT 100 SQM WITH TERRACES For sale apartment composed of living room with kitchen, two bedrooms , two bathrooms and two terraces. The living room has access onto a terrace which has a dining table for 6 persons with exposure on the green condominium. The apartment is free on three sides, facing east-south-west, and then brighter than that silent. The windows are wood with double glazing, the flooring in the living area and ceramic in the sleeping area are parquet, the heating is autonomous. Has been installed and the cooling system, alarm system and all windows mosquito nets. 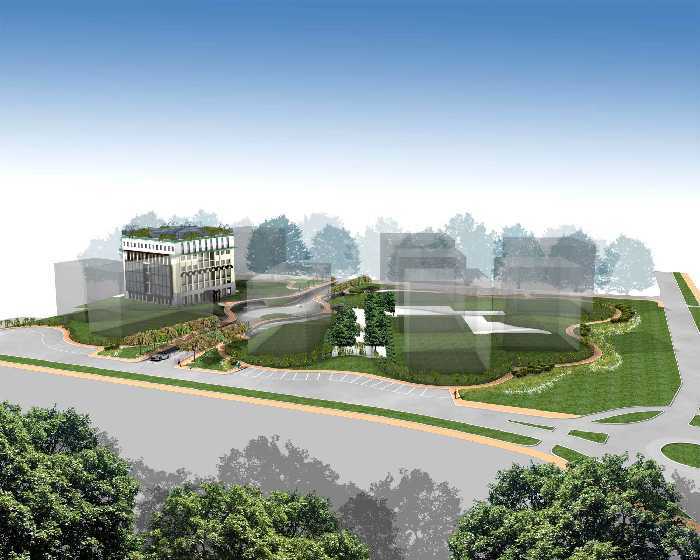 The building was built in 2000 and is set in a beautiful garden surrounded by green areas. An adjoining large box with covered access. The request is euro 179.000 treatable. Energy class And ipe 151,03 kWh/sqm per year.